The answer to that question is what the Cannabis Cleanse aims to solve. The Cannabis Cleanse is as much about the harmful effects of alcohol and “cleansing” or detoxing of alcohol from your diet as it is about the fact that this amazing plant is not only medicinal, but also far less harmful than alcohol, and it's time we treat it that way, according to this recent ad that was just placed in the U.S during a major televised sporting event. What's more, let's take note at how seemingly the entire world is “coming” down from the counter-productive and hysterical high of “reefer madness” propaganda force fed to us for 75 years. 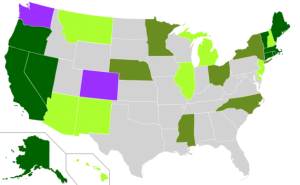 Not only has Colorado, and Washington legalized “Weed” for recreational purposes (and suffered surprising little fights or overdoses like from alcohol) but the New York State Governor has just announced reform to their medical marijuana laws, which frankly don't go far enough in joining the 20 other states who led the way, and over 10 more with plans to legalize, decriminalize or medicalize (yes this is not a word, and no I am not sampling the product ahem at the moment). Thankfully, even whole countries are starting to understand the hypocrisy and harm our current drug laws have propagated. There has been a long and a never ending debate on whether marijuana should be legalized or not. Here are some of the reasons why marijuana should be legalized. It’s not a gateway drug- Many people thinking that using marijuana would lead them to use other drugs as well. This is not true because studies show that people who used marijuana first used other drugs in correlation and not because of causation. Also, more than half the population in America has already tried the drug at least once. Low risk of addiction- It has been proven that only about 9-10% of the adults who used marijuana got addicted to it which is very low as compared to cocaine where the addiction rate is 20%, heroine where the addiction rate is 2% and tobacco which has the highest addiction rate of 30%. Death due to marijuana overdose is not possible- It is a common misconception that an overdose of marijuana might kill you. Till date, not a single death has been reported due to overdose of marijuana. But in 2010, 38,329 people died from drug overdoses, 60% of which were prescription drugs. 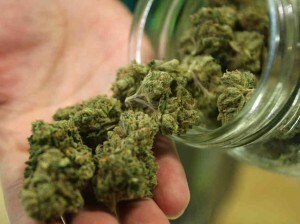 Marijuana has positive attributes – Marijuana has great medical value. It is useful in helping cure a lot of ailments. It is safer than alcohol and therefore can be used as a recreational drug and is a much better way to relax. Very little side effects- Marijuana has very little side effects and most people develop tolerance to them and those who do not, mostly stop using the drug. It's no wonder why many call Marijuana a wonder-drug, even a super food (yes you can eat it), having been shown to benefit those with: epilepsy, multiple sclerosis, glaucoma, arthritis, depression, morning sickness, Cancer, HIV AIDS, chemotherapy and the list goes on and on. What's more, today, most doctors would prescribe medical marijuana to patients according to a recent survey showed that more than three quarters of the doctors would prescribe marijuana to their patients if they are allowed to by law. This is the irony of the fact that doctors can’t recommend the medicine even if they want to. A recent study concluded the fact that 76 percent of the physicians said that they will definitely recommend pot if they are allowed to. A study done by University of California Center for Medicinal Cannabis gave very positive results about prescription of the medical marijuana. The results showed that medical cannabis can definitely act as a pain reliever for the patients suffering from HIV, diabetes, sleep disorders, etc. Medical marijuana can be helpful as an appetite stimulant, antispasmodic and even has many analgesic effects. Various side effects of chemotherapy can also be cured with it. Nausea and vomiting which come along with chemotherapy have known to disappear with medical marijuana. But what about this so-called “Cannabis Cleanse” you might ask, and what does this have to do with cleansing and detox? Well, the first step to any cleanse or detox is to stop putting the toxins in your body in the first place. And the seriously harmful alcoholic cousin in the recreational fun-drug family should be consumed much less, that is often is to obtain any benefits from its ingestion beyond the buzz its popular for. (although it might be noted that it's possible that liver damage from drinking has recently been shown to be mitigated by marijuana, so if you're going to drink, maybe taking Mary Jane to the party will prolong your life, and the party. Now, I won't go into how to detox yourself from the cheetos, twix and KFC you'll probably be craving (I am talking to you Frank the Tank). And clearly the humour in my approach should not go without saying, please “LIVE responsibly”, all things in moderation, and open your mind to new approaches to the human condition, like how to live longer (and higher). I am a holistic wellness coach. I have seen people addicted to all kinds of substances..and also other people. So much has changed in the past two years and yet this article still is highly relevant. Could we please get an update on these ideas for 2016? 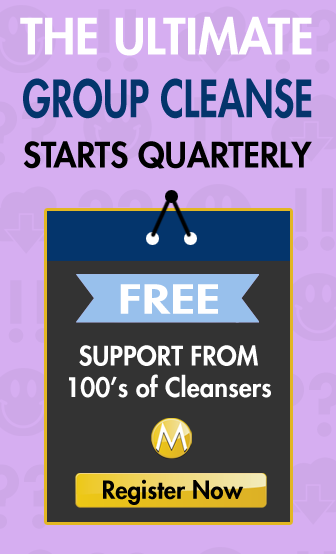 Not that they’re lacking… but there’s probably a lot more to talk about related to a Cannabis Cleanse! You didn’t post my comment……why am I not surprised?! People have the right to know the truth. You could have posted it and replied and maybe educated me a little. But I guess you cant educate truth and facts, can you? You didn’t even have the common courtesy to reply via email in private. I have done the master cleanse. I just finished. But if I decide to cleanse in anyway,shape,or form again….I’ll be sure to visit a website that is honest in the future. I hadn’t approved any new comments in several months as I have been consumed with some personal affairs. I do see that both my views on the miracle of marijuana and comment approval are offensive to you. While I haven’t ready your posts very closely, I can assume that your reactions might be serving you to recognize a need to be right and acknowledged. Clearly some anger present here based on no personal attack on yourself (as if that would justify your anger). Best of luck! Your science may be correct and I am for it if for medicinal purposes. And when I say medicinal, I don’t mean, “Doc, I have a stomach ache because I used to live in Italy and now I’m in America with different food”….as my nephew did…..give me a break! It should only be used for serious illnesses. I absolutely disagree with you encouraging recreational use and saying it’s healthier than alcohol. And I find it shameful that anyone encourages recreational use. It DOES mess with your head. I don’t know one person who smokes it on a daily basis that isn’t rather messed up. They smoke it so they can FEEL good. With alcohol it Takes several or more drinks to damage you as pot only takes one hit to do that. Alcohol actually has health benefits when consumed in moderation. My nephew admits that he uses it so he can deal with his co workers, mean people and just to have a good time. In other words…..he cant deal with reality without a pot. He’s 26 and although he has a steady job he has no life. I am one of 12 kids (all by the same parents). Half of my siblings smoke pot (one of them is an alcoholic but there are no other drugs involved with any of them other then occasional alcohol use) All 6 of them struggle financially and a majority of them have emotional problems and marital problems. This isn’t counting the friends and acquaintances I know that have the exact same issues. BTW… All 12 of us drink alcohol…..of course the 6 that don’t smoke pot are doing very well in life….health wise and emotionally. Go figure. I respectfully suggest you look at the research of the dangers of alcohol vs. marijuana more closely I think you’ll find the science is pretty clear on this. You are so right about the downfalls of smoking cannabis. It is not as harmless as many think and it has destroyed many lives…so people stop pushing the recreational side of cannabis. It takes away all motivation, social life is taken away, it becomes an obsession to many people. can I smoke weed during my diet ? Now that we know so much about smoking vs. vaping, if you wanted to you should opt for the later. Smoking ingests toxins. But at least your not eating anything, creating an enzymic digestive action, and that’s one of the biggest factors. That said, use the MJ to align yourself with the spirit of the cleanse, rather than to stay dependant on an external sensation, as opposed to more deeply contemplating your current and clear thoughts, emotions, cravings etc. Beautiful answer, thank you for this Mike! Thanks for sharing Mae, your story is what’s changing people’s attitude right now! Both my grandparents died from cancer over 15 years ago. Not only were they in terrible pain but had no appetites whatsoever. I was about 17 at the time and weed was illegal. I bought some off a friend for my grandparents thinking it would help with their appetites. At first they were reluctant because its illegal, but finally with some convincing from my whole family they both tried it and IT WORKED, they’re appetites were back!!! (My grandma did have a hard time smoking it so i made her some edibles). Last year my Dad went through chemotherapy for Hep C treatment, and again i gave him weed. he liked it so much that he asked his Dr. for a prescription (thankfully it is legal now here in CA). He told his Dr it helped him so much with nausea and the inability to eat. His Dr was so happy with his results from the weed that he started suggesting medical marijuana prescriptions to his other patients in treatment. I agree that marijuana should be legalized for medicinal uses, and that marijuana should be used for medicinal purposes, but using marijuana for recreational reasons is something that I can’t digest. It’s true that addiction rates are lower for marijuana than hard drugs like coke and heroin, but it does have an addiction rate. 1 in 10 people do get addicted to weed. My op might be biased, because my dad was an addict too. He had rehab at both Last Door Recovery and Bellwood ( Canadian rehab center reviews on Canada Rehab Reviews) to get clean. Marijuana is addictive, and we can’t turn a blind face to this fact. i think you should learn the definition of addiction in the body before you continue your misguided rants. in the human body there is absolutely no addiction response to marijuana, none! there are in fact multiple receptor sights for all of the active principles in the marijuana plant. in the brain stem, the uterus/ovaries, the testes, and nervous system. i believe all of you should also search out the long term studies done on the Coptic church members and the massive amounts of marijuana they consume with no signs of addiction, nor cognitive destruction, no loss of memory, and no physical stunting or abnormalities in growth. keep drinking your alcohol in moderation if you can then someday have your brain scanned, and blood vessels, nervous system, and liver checked for signs of health vs damage! alcohol is THE destroyer of humanity and therefore a peaceful planet.